Safe and comfortable transportation is provided by Diya. Children are picked up and dropped at fixed points. Children and educators travel together. Buses are equipped with GPS, first aid and a lady attendant as precautionary measures. 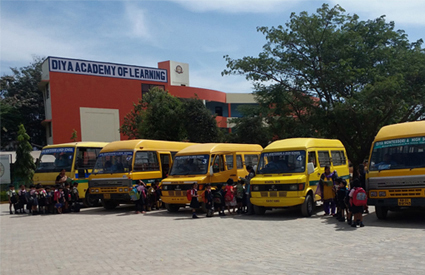 We take every measure possible to ensure that the children travel to and from school every day in a comfortable and safe manner. In today's scenario, ensuring child safety has become an important issue for both the parents and school management. 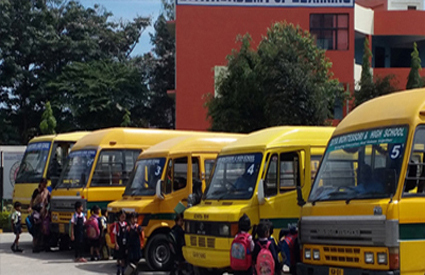 Hence at Diya, we provide School Bus Tracking through which one can easily monitor the school bus along with the students in it so that you never lose sight of your child. 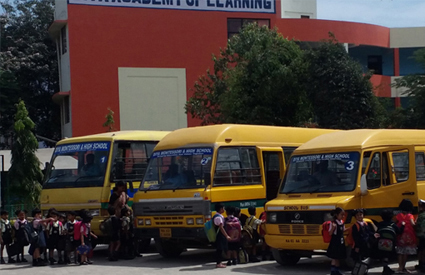 It is a one stop solution for live tracking, route management, emergency preparedness, student attendance and more. Ensuring the safety of your children can never get easier and more effective.